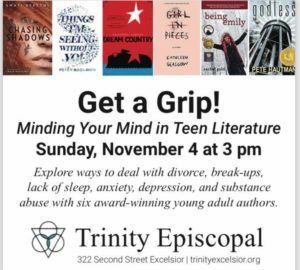 Discover exciting trends in young adult literature, expand your reading list, and play a trivia game with prizes! 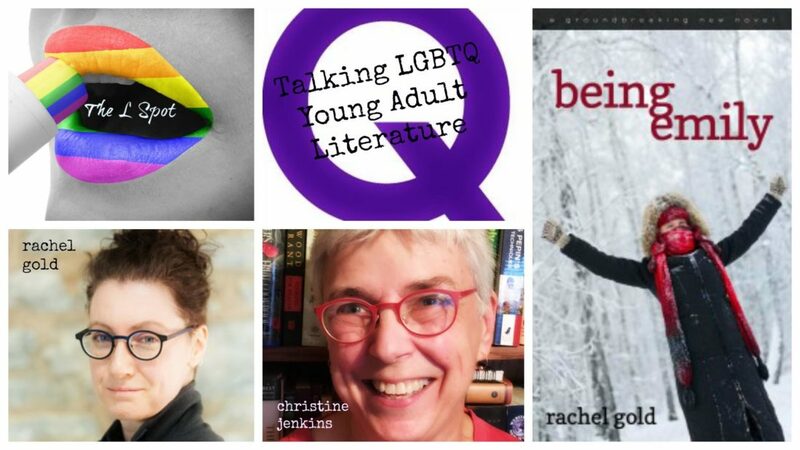 Christine Jenkins, co-author of Representing the Rainbow in Young Adult Literature, will take you on a whirlwind tour of five decades of this exciting and now booming genre. Author Rachel Gold will read from the new edition of her groundbreaking novel, Being Emily, and explore the future of YA literature with queer and trans content. Reception to follow. Books will be for sale and authors will be available for signing! Oct. 30: Save the date! Details on this event will be posted later this week, but if you love talking about trans rep in all sorts of media, then block out your calendar this evening from 6-8 p.m. Mental health is more than mental illness. Mental health is important to everyone. It’s finding constructive ways to deal with events like death, divorce, break-ups, lack of sleep, pressure, anxiety, depression, and substance abuse. Join us for a presentation with six award-winning authors: Swati Avasthi, Peter Bognanni, Shannon Gibney, Kathleen Glasgow, Rachel Gold, and Pete Hautman. Pizza dinner with teens and authors follows the event. This event is free and open to readers of all ages.